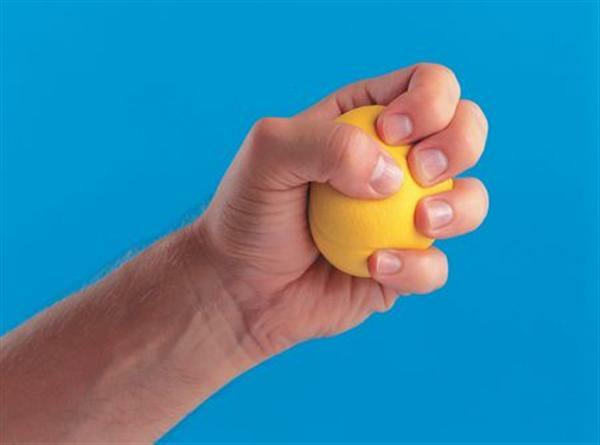 Hand Ball Exerciser Latex Free - Stress Reliever. A Latex free Palm-size ball returns to its original 6cm (2 1/3") diameter within 2 to 3 seconds after squeezing. A great tool for working off everyday stress, too. Good product. Just the right amount of resistance for me.